16mm Cine Film Transfer to DVD or Digital File. In addition to 16mm, we also transfer all formats of 8mm Cine Film and all formats of 9.5mm Cine Film. All types of Video and Camcorder Cassettes can also be transferred. So you have some Cine Film but are unsure of the format or reel size? Have a look at our Cine Film Guide which will give you lots of information. To place and order, please visit our Ordering page, or if you have a question, you may find the answer on our FAQ page. 16mm OPTICAL SOUND cine film can also be transferred including the sound track. The cost of sound 16mm Cine Film Transfer is more expensive than silent film because of the process involved but still from as little as £11.99 per reel. 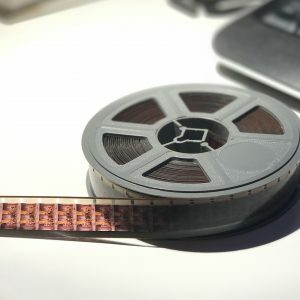 The images are captured using frame by frame capture to give the best possible image and the soundtrack is captured by running the film through the scanner again to capture the audio track. Once the audio and video are captured, the two are then re-synced back together. We can also process your 16mm cine film transfer in HD, if required. Please contact us to discuss your requirement. The pricing for HD 16mm Cine Film transfer starts from just £9.99 per reel. Full prices can be found on the Pricing page. The difference between CineFilm2DVD and other service providers is that we care about your films. Rest assured that your films will be taken extra special care of and more importantly nobody knows how precious these films are, more than us. See our reviews. You will not be disappointed with your transfer. Please do not assume that because of the cheap price, you are going to get a substandard product. You are not. The transfer will be done digitally which involves no analogue sources whatsoever. This means a sharper image. Many people ask if we use a projector and project onto the wall and film the image. This is not the case. We use frame by frame scanning which eliminates flicker. Flicker is caused from the shutter blades on the projector. There are three types of 16mm film to mention in this Cine Film Guide. 16mm, Super 16mm and Ultra 16mm. Sprocket holes would run along both edges of the film (although in some cases only one edge to leave rooms or the sound track). 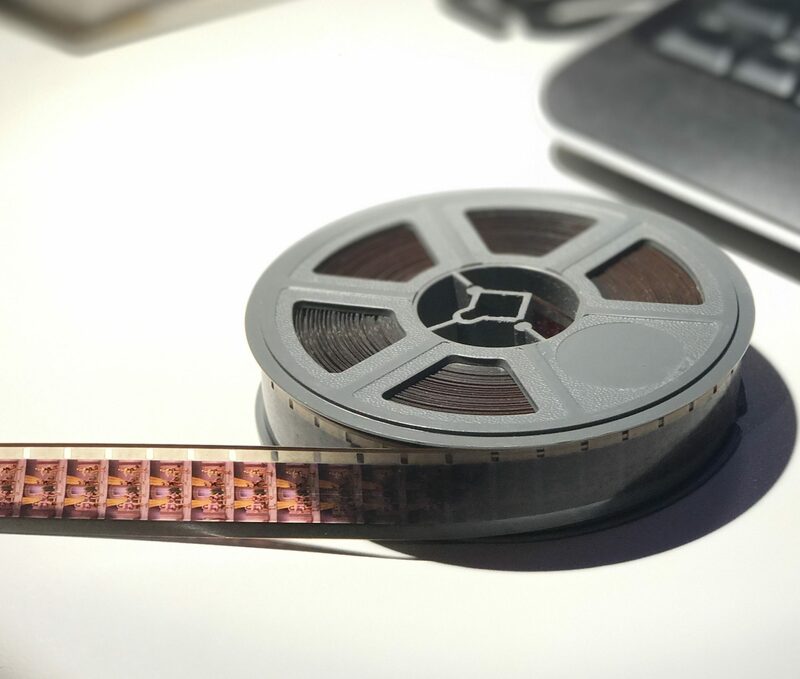 Sound on 16mm Cine Film would be either a magnetic sound strip or an optician sound track. Most commonly used as a home movie film, the 16mm film would be colour and silent. For training, educational and commercial use, the films would usually be colour and optical sound. The normal projection speed in th United Kingdom for 16mm Cine Film was 24fps, (this differs in the USA where it would normally be 18fps). A 3” reel holds approximately 50ft and has a running time of approximately 2 minutes. A 7” reel holds approximately 400ft and has a running time of approximately 15 minutes. A 8” reel holds approximately 600ft and has a running time of approximately 22 minutes. A 9” reel holds approximately 800ft and has a running time of approximately 30 minutes. A 12” reel holds approximately 1200ft and has a running time of approximately 45 minutes. Got a question? Why not use the contact form below.